This just made my day!!!!!!!!!!! 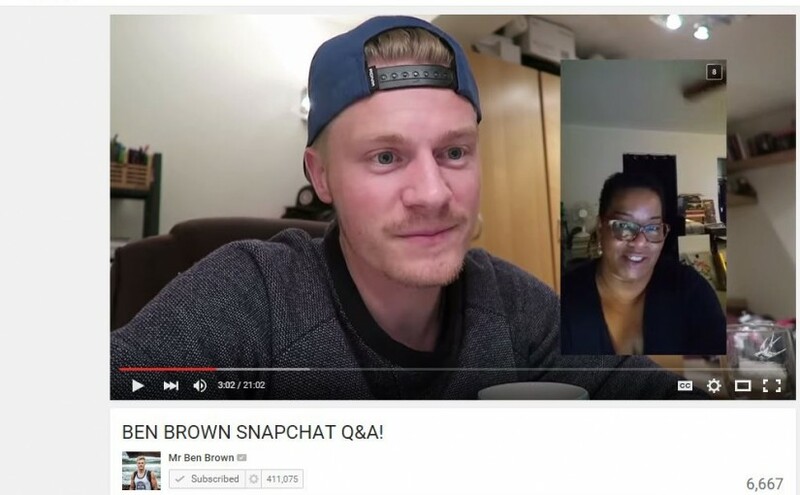 Mr. Ben Brown is one of my favorite YouTube travel vloggers and yesterday he announced via Snapchat that he would be taking questions for a Snapchat Q&A video. Given that he has thousands of followers and probably would get a ton of questions, I figured I would not make the cut. So, imagine my joy when I saw myself 3:02 mins into his Snapchat Q&A! My question is pretty serious one for me since I plan on investing in a camera for vlogging at the upcoming Design Miami 2015, Miami Project 2015, PULSE Miami Beach 2015, SCOPE Miami Beach 2015 and other satellite fairs and events associated with Art Basel Miami Beach Week 2015. My budget is very, very limited, so I getting feedback from Mr. Ben Brown, who’s vlogs always look amazing, is more than helpful. I plan on getting the Canon GX-7 and maybe a couple accessories. Thank you Mr Ben Brown!